Now the leaves are falling, if I lean precariously from my balcony I can just about make out the statue of a winged god punching out an innocent bull through the branches of the trees that line Via Galvani. God and bull sit above the entrance of the Ex-mattatoio, Rome’s sprawling ex-slaughterhouse that closed for business in 1975 . I stood looking up at the bull and the god, then down at the collage of cobblestones and cigarette butts, with my friend Joanna nearly nine years ago. The Ex-mattatoio was the one of the stops on Joanna’s self-styled architectural tour of Testaccio. A tour for which Joanna wore red and yellow high heels, with style it has to said, not a stumble, which is quite an achievement if you consider the cobblestones and libel worthy pavements. A tour that steered us from imperial ruins, domes and sepia-stained piazze down river to a quarter shaped like a quarter or a wedge of cheese. A quarter crisscrossed with streets filled with 19th century residential blocks, boasting a futurist post office, a boisterous market that smelt ripe and bosky, an abandoned slaughterhouse, a plethora of trattorie and bars I wanted to try and a charm I couldn’t quite put my finger on. In short: where I wanted to live. To understand something of Testaccio and the Ex-mattatoio is to understand something of Roman food – or one aspect of it at least – and therefore part of the story of Rome. 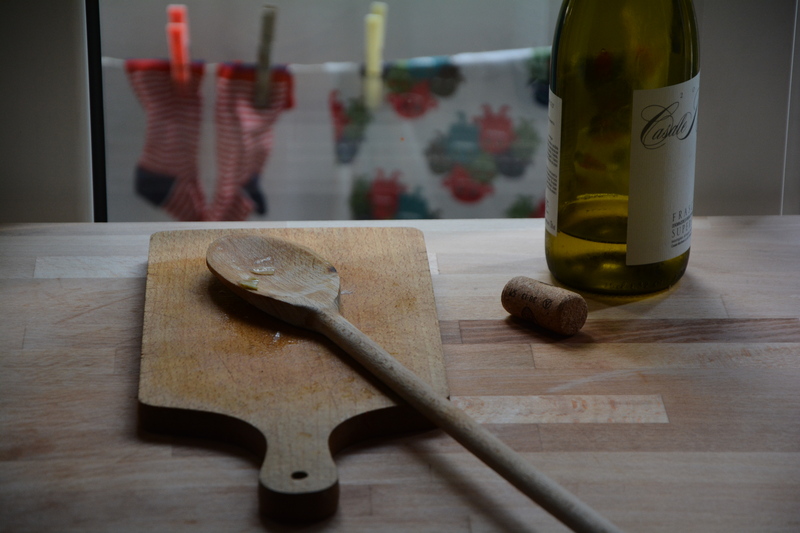 Food as story or story as food or something akin to that. The area has been associated with food trading since ancient Roman times when it was a port and sprawl of warehouses. In fact Testaccio takes its name from an archeological site called Monte dei Cocci that rises somnolently at the bottom of the wedge, which is in fact a pile of broken but neatly stacked amphorae dating from the fourth century. The Monte is now the hub for a cluster of nightclubs that are burrowed into its base, meaning at night ancient amphorae jolt in time to drum and bass, latin jazz and eighties disco: ancient and everyday colliding with almost banal ease. It was in a bar in the shadow of Monte dei Cocci, while her dog tried to avoid the shameless advances of my anarchic son, that my neighbour, sociologist and writer Irene Ranaldi talked to me about the part of Rome I have lived in for nearly nine years. Until it was developed in the late nineteenth century, Testaccio was an open space dotted with ruinous clues as to its ancient significance and vines producing wine grapes for industrious Romans. During and after 1873, a zoning plan turned the former port and open space into a quarter of public housing, factories and the slaughterhouse. It was supposed to be the ultimate in working class neighbourhoods where thousands of immigrants from all over Italy attracted by the promise of work and the metropolitan lifestyle Roman had to offer, could live. For the next hundred years the slaughterhouse was quite literally the bloody, beating heart of the quarter, providing work and meat for those who could afford it. The workers of course couldn’t afford the meat (and little else, poverty was endemic), but were paid in kind with the bits nobody else wanted, meaning the offal that made up a fifth of the animal’s weight. It was this quinto quarto or fifth quarter that the workers took home to their wives or local trattoria owners, who in turn, inventively and resourcefully turned it into tasty, sustaining meals. This is the uncompromising and distinctive quinto quarto cooking, a style of cooking evolved through necessity but continued for posterity, taste and because the bits neglected became the bits selected (by some at least). A style of cooking you still find in trattorie and homes: ox tail cooked slowly with celery, tripe with tomato sauce and dusted with pecorino cheese, lamb’s offal with artichokes, grilled sweetbreads and intestines. These are dishes that merit attention and – for some of us – a leap beyond misconceptions, squeamishness and a possible moral crisis because they are tasty and good, because they are part of the animal we (may or may not) decide to eat, because they are dishes that tell a story. Which is why I think it’s important I mention them here, after all, they are as much a part (albeit a less regular one) of this chaotic – and messy, so messy, I am a domestic disgrace – Roman-kitchen-of-sorts as freshly baked pizza bianca, battered courgette blossoms, pasta with beans, spaghetti al pomodoro, braised beef, artichokes, curls of puntarelle, tiny sweet peas, fave, ricotta, sour cherries, sweet-yeated buns, strawberry scented grapes, ugly hazelnut biscuits that taste buono and other good things. 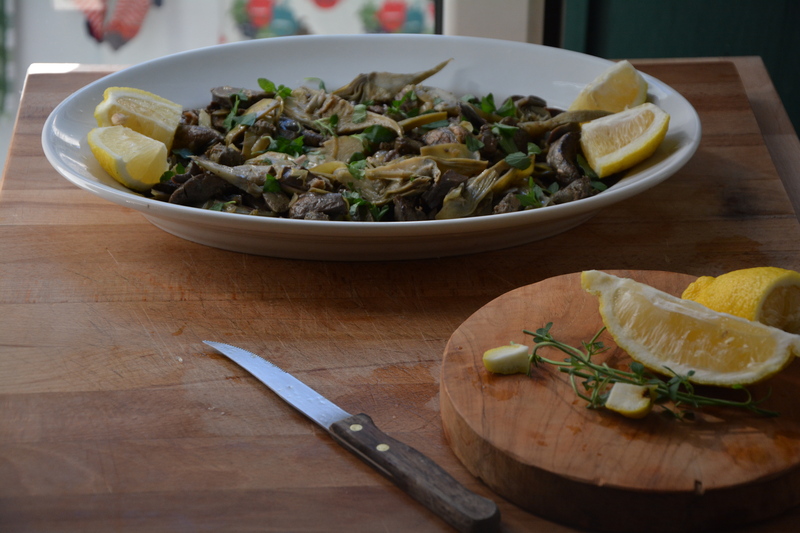 My grandpa Gerry would have loved today’s recipe: Coratella con carciofi , so would my Grandpa John, although the artichokes might have given him heartburn, but then most things gave him heartburn. All my grandparents knew the merits, both economically and gastronomically, of offal, that if you eat meat it is disingenuous and wasteful not to eat the whole animal. My brother does too, Ben this post is in no small part for you. 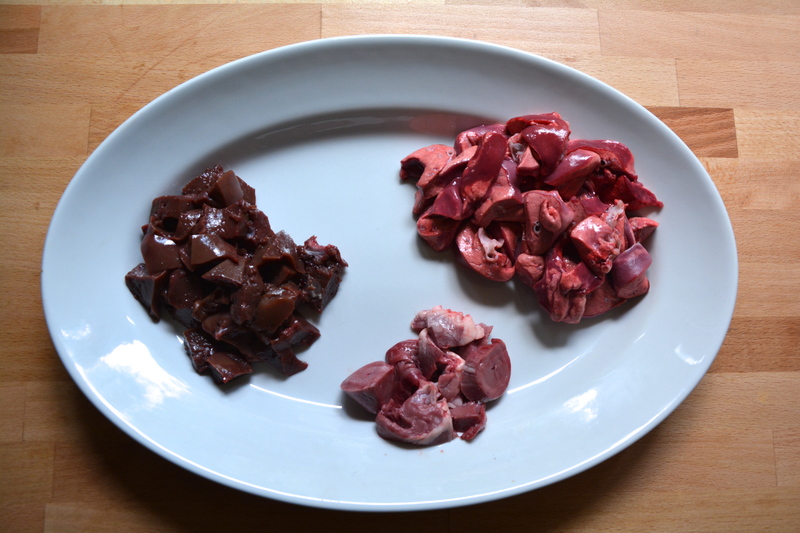 Coratella is lambs offal: liver, lungs and heart, a beautiful, complex cluster – it is, it is I will hear no different – of rosy-pink, coral and chestnut-brown. 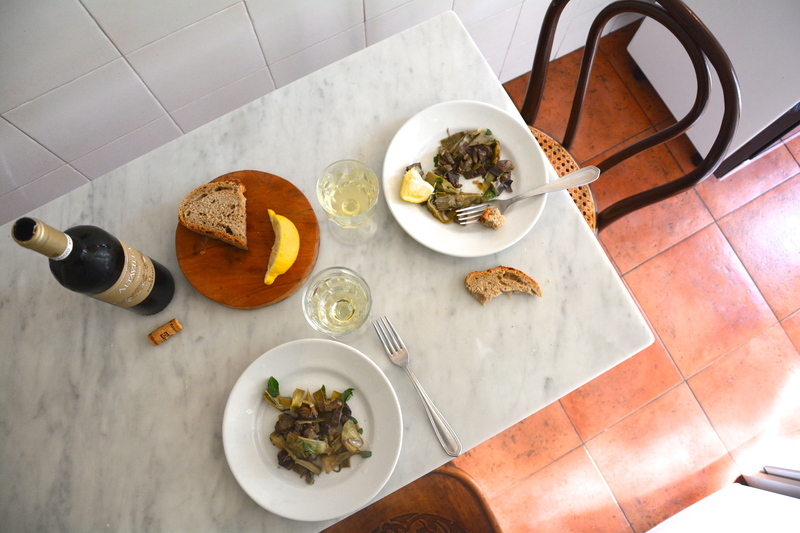 Cooked well, coratella is a textual and flavoursome delight, the liver is creamy and delicate, the lungs pillowy and tasting rather like pot-roasted pork and the heart rich and thick. Carciofi are artichokes, these are the first, long spindly things that really do remind me artichokes are wild thistles. 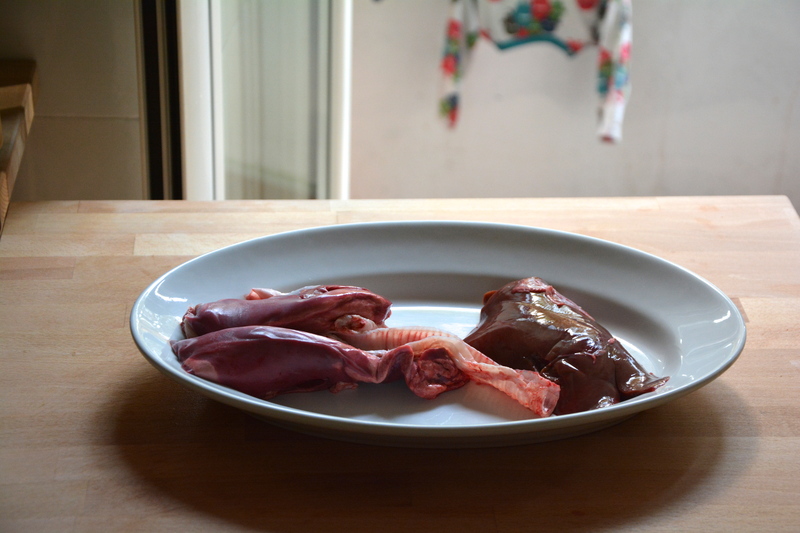 Probably the most difficult thing is finding some fresh lambs coratella from well-reared animals. Persistence with a good butcher should do the trick. You also need a keen hand to ease the lungs away from the membrane. You need a keen hand too, for trimming the artichokes, not that it is complicated, more finicky, I hope this is helpful. Once all the elements are prepared it is just a matter of frying them in the correct order. First the onion and artichokes, adding a little white wine and then leaving the pan at a burping-bubble of a braise until the wedges are tender. Then in another pan you fry the coratella, adding the parts to the pan according to how quickly they cook, so first the lungs, then the heart and finally just for the last few minutes the liver. The coratella is cooked when the lungs whistle and all the parts are lightly browned and cooked through. To finish, you unite the meat and the artichokes, season with salt and pepper, lemon juice and maybe a little mint, then serve. Food with a story, a story with food. 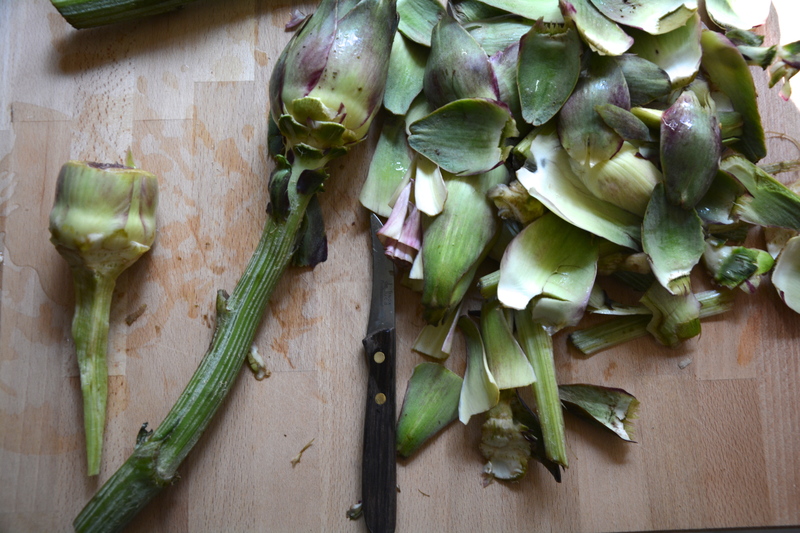 Trim the artichokes, rubbing them with the cut side of a lemon to stop them discolouring and then slice them into thin wedges. Keep the artichokes in a bowl acidulated with the juice of half a lemon until you are ready to use them. Peel and dice the onion. Warm 2 tbsp of the olive oil in a saute pan and then fry the onion until soft and translucent. Add the drained artichoke wedges, stir well so each one is coated with oil, then pour over the white wine and reduce the heat so the pan bubbles gently. 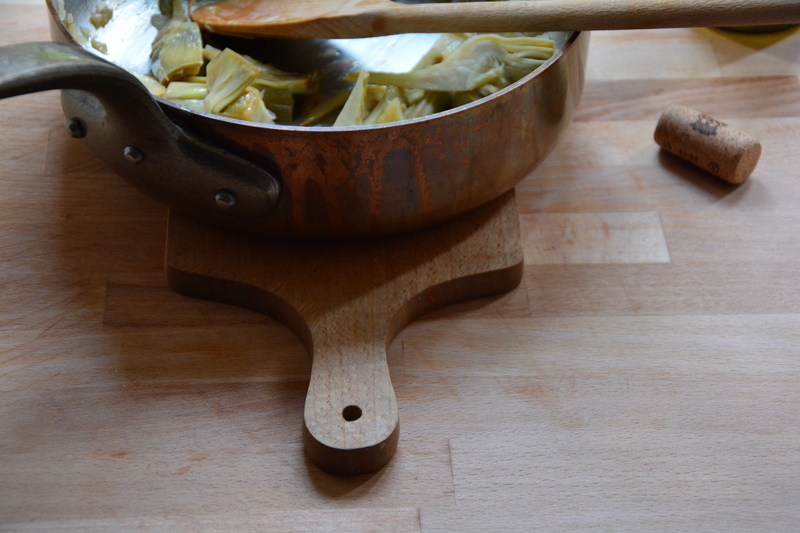 Allow the artichokes to cook/braise for 15 minutes or until they are tender. Add a little more wine or water if the pan looks dry. Set the artichokes aside. Prepare the pluck by pulling the lungs away from the membrane and then cut all three parts into small pieces. In another pan warm the other 2 tbsp of olive oil and then add the lungs and cook for 10 minutes, then add the heart and cook for another 10 and finally the liver which should take another 5 or six minutes. Put the other pan with the artichokes back on another flame and then once the meat is lightly browned and cooked through add it to the artichokes, season generously with salt, pepper and a good squeeze of lemon, maybe some ripped mint and if you feel it needs it, another slosh of wine, cook for another few minutes, stirring every now and then. Serve immediately.